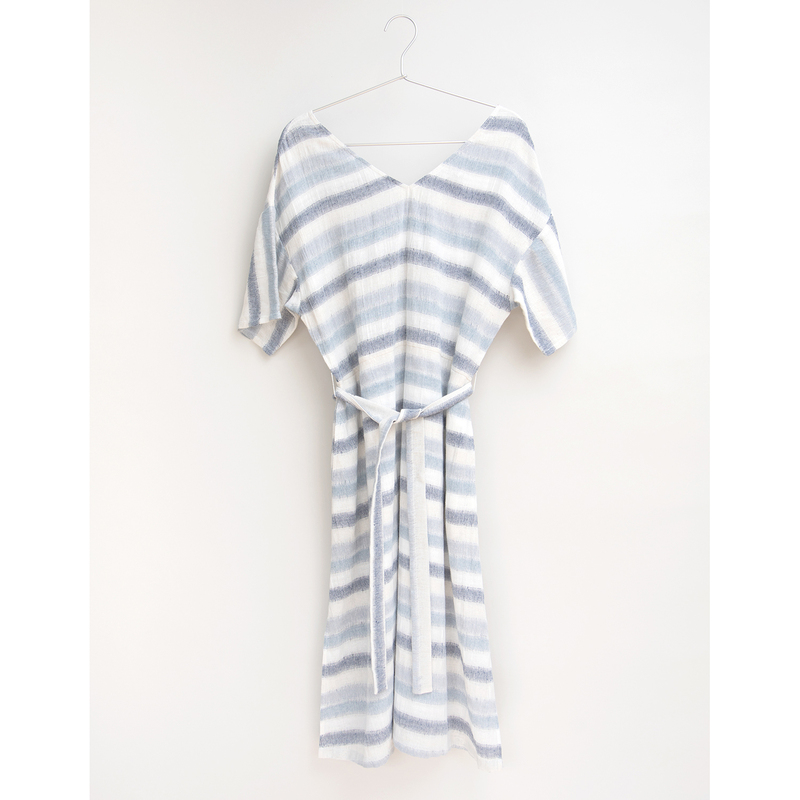 This beautiful short sleeve dress is made from cotton and linen-blend fabric with multiple blue stripes. 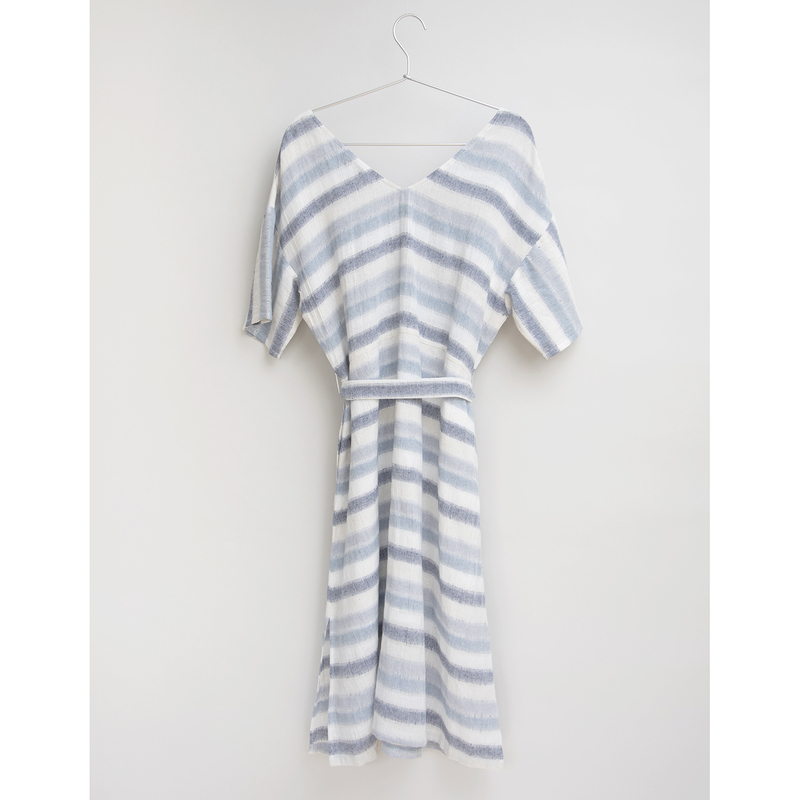 Designed in a midi silhouette and belted at the waist, it’s detailed with V-neck front and back and slits at hem. Wear it on balmy summer days with flats. Loose fit, slips on, side pockets. Model is 175cm and is wearing size XS. Shell: 80% Cotton 20% Linen. 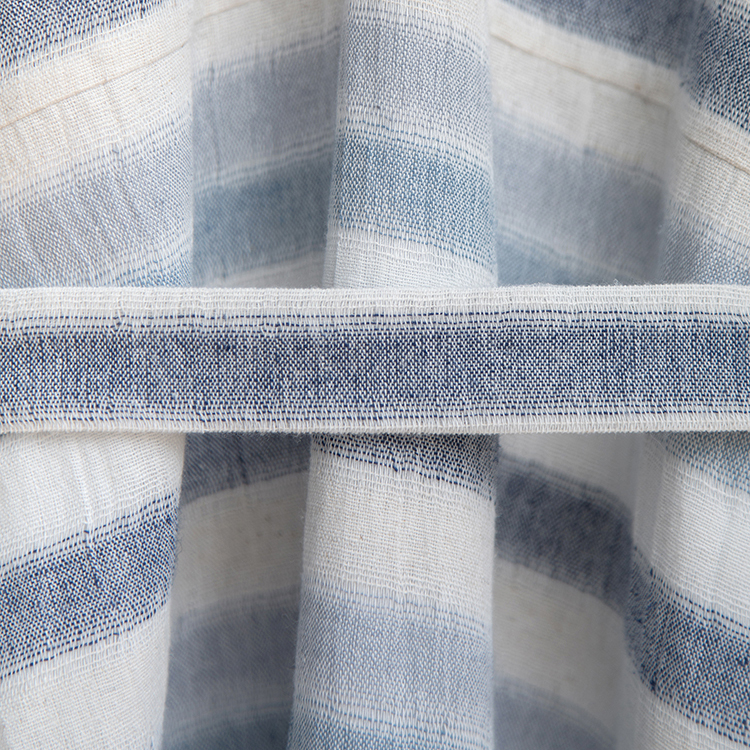 Lined by 100% Cotton Voile.